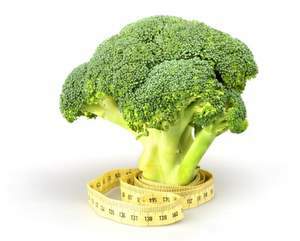 Are you looking for raw food weight loss? Dieting on a raw food diet should be health goal focused rather than weight loss focused. Still, there aren’t many diets where you can eat as much as you want and still lose weight. Common methods of dieting to lose weight can really mess with your head. You’re spending so much time thinking about what you can’t eat that you become obsessed with wanting to eat it, winding yourself up like a tight spring until you explode into a binge. The positive idea behind eating raw for weight loss is that initially you don’t have to remove anything from your current diet. You can start by simply adding more raw foods into your diet. As you develop a habit and taste for raw foods they will naturally edge out your unhealthier choices. A great way to start is to drink a green smoothie at the beginning of each day. Blend up 2 good handfuls of greens (e.g. spinach, kale, silverbeet, bok choy) with 2-3 bananas, a cup or so of whatever fruits you like that are in season, 1-2 cups water and some superfoods if you feel like it. This should make at least a litre. Drink at least half a litre for breakfast and bottle up the rest to drink throughout the day. 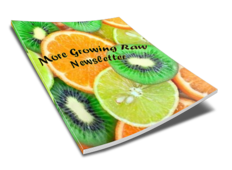 Be sure to subscribe to "More Growing Raw" newsletter to receive monthly healthy eating tips, Growing Raw news and updates.